Andrew Mosley was born in July 1965. His school years were spent at Oundle in Northamptonshire. He is degree educated in Hotel and Catering Management. Andrew’s hotel general management career spans over 24 years, running hotels for Shire Hotels, Corus and Regal hotels, QHotels and De Vere Hotels including time as Director of Operations at The Belfry. He has also held Regional Director roles in addition to his General Management responsibilities. 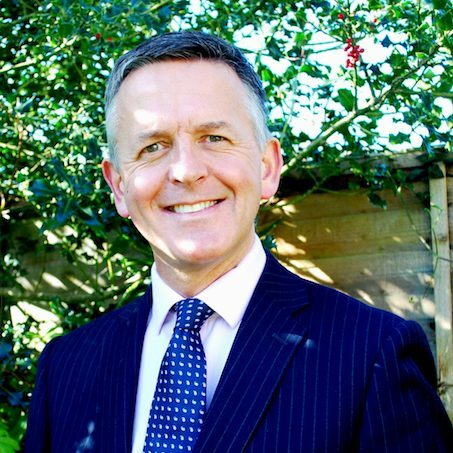 Andrew moved to his current role as General Manager of The Grand Brighton in May 2010. Since joining he has ensured the Hotel has re-established itself as a first choice venue for business and leisure. The business employs over 300 staff. The Hotel has seen significant business growth in the since 2010 assisted by a £5miilion refurbishment in 2012/13. Work included a new restaurant (called GB1), which was awarded 2 rosettes in 2014, and a new Spa which opened in May 2013. All the hotel bedrooms and meeting rooms were also refurbished. In 2014 Andrew oversaw the sale of The Grand by De Vere to Wittington Investments. Wittington are committed to further extensive investment in The Grand which has now already commenced including the installation of air conditioning to all bedrooms and the complete refurbishment and restoration of the hotel’s facade. The Grand is committed, whenever possible, to supporting the local economy – assisted by it’s new found independent status and underpinned by its commitment to local suppliers in its restaurant and the support offered to local charities. It has a Gold accreditation with the Green Tourism Business Scheme. Andrew lives near Southampton and spends his time out with his family and friends. He also enjoys cycling and listening to music.